Pier 39 is an all-day carnival. Beginning with live music just inside the entrance plaza, it’s a place of constant action and things to see and do. Kids love it, and there’s no better time to take them there than now! From now through December, Pier 39 is celebrating being 39 with 39 weeks of fun, events, special offerings, and happenings. With Kids Go Free coupons and super-fun choices, there’s no holding them back! Walk through crystal-clear tunnels in Aquarium by the Bay as sea creatures from San Francisco Bay swim overhead. Get the thrill of a roller coaster ride mixed with the excitement of laser blasting in the 7-D Experience. Avoid getting lost in MacGowan’s Infinite Mirror Maze; try aerial acrobatics in Frequent Flyers; figure out wooden puzzles in Solve It; play over 85 games in Players Sports Bar & Grill Arcade. 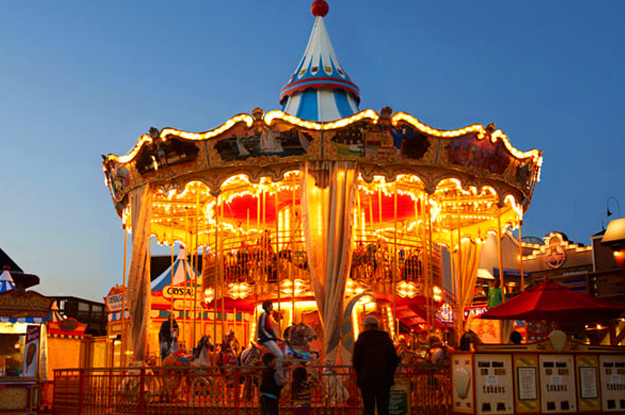 Learn about all things sea lion at Sea Lion Center; ride on a beautifully painted, lighted carousel; play a tune on Magical Stairs. On Fridays, it’s movie night outdoors! In addition to super engaging attractions, there are plenty of choices of places to eat, drink and shop. 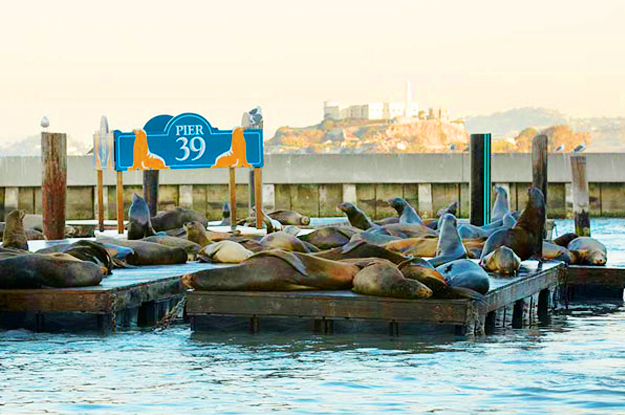 Added Pier 39 bonuses: it’s the best spot in San Francisco to see hundreds of sea lions hanging out, has great bay and city photo ops and is the best place to find exciting bay tours. From Pier 39 roar around the bay on a Rocket Boat to a wild RIB (Rigid Inflatable Boat) ride, see all around the bay on the Blue and Gold – lean into the wind on an America’s Cup racing sailboat, and get up-close to magnificent whales.